Naughty and Nice Book Blog: Molly McAdams releases a CLIFFHANGER !!!! his thoughts. Grabbing my phone, I smiled when I was finally able to open Rachel’s text from last night. Sour Patch: Just so you know … cleaning up from a whipped cream war without you isn’t nearly as fun. See you when you get home. Love you. started pounding on the CLOSE DOORS button. Ramirez was a K-9 unit, why were they wanting his dog, Crush, there … and what scene? this.” The elevator was already moving, but Ramirez kept stabbing at the ground level button. “Of what?” I was supposed to be the one in shock. So it had something to do with me. driver’s door when Mason slammed me into the side and ripped the keys from my hand. After barking at me to get in the passenger seat, he fired up the engine and peeled out of the lot. Mason! What was Ramirez saying, did he say if she’s okay? Is she—oh God. Rach, baby, please be alive,” I whispered and slumped into my seat, raking my hands over my face. happened, but I couldn’t focus on his exact words or the muffled response coming from the dispatcher. I just kept praying over and over again that she was okay. I could deal with our place being broken into. I could replace all that. But I couldn’t replace Rachel. through my ears. When we got to the house, the front door was hanging like it had been kicked in, but the rest of the front looked completely normal. Save for the dozens of officers and detectives that were walking in and out of it. Remembering the faux-wall in the closet, I prayed like hell that Rachel was using it and took off for the large closet in the bathroom. On the wall in red spray paint were the words DID YOU THINK WE WOULD FORGET? Underneath was a symbol. One both Mason and I’d had tattooed on our left forearms during our last undercover narcotics assignment with Juarez’s gang. and it was then I noticed the wetness in his eyes he was trying to keep back. I WALKED INTO Mason’s apartment that evening with a bag slung over one shoulder, and Trip in my arms. Our bedroom was still being considered a crime scene, and I was asked to stay out of it for the night as they processed more and continued to take fingerprints. Not that I thought I would be able to stay there even after they were done anyway, without Rachel … I didn’t know how I would handle being there. apartment, I fell heavily onto the bed and kept Trip secured tightly to my chest as I stared at nothing. realized Rachel was at a murderer’s home last fall, and that I’d let her walk away with him. When the call between us had been dropped after I’d heard her scream, I hadn’t even let myself believe I wouldn’t find her and bring her back alive. knowledge of what Blake was capable of. Now, though, I didn’t know who had her, what they were doing to her, and what they could do. I just knew what they’d threatened to do. gang, the two men hired to kill Mason and me last year, and family members as well. No one was talking, and the only living extended family of Juarez and his boys that we could track down had either turned their backs on the members of the gang, or were afraid of them. I hadn’t been allowed in any of the interviews since I was too close to the case—again—so I’d spent hours seeing if anyone on the street had heard anything, and looking for Rachel’s cell phone which we’d later found ten miles away from the house in a trash can at a gas station. A gas station whose indoor and outdoor cameras just happened to be down. and threats for Rachel’s safety, and although they said they’d call back every two days, I’d hoped like hell they would’ve called back again. But there was nothing. We had leads that weren’t talking, and didn’t have a reason to talk, and nothing else. whatever He wanted with me … as long as she came back alive. “Do you mean that?” I choked out when he turned to leave. 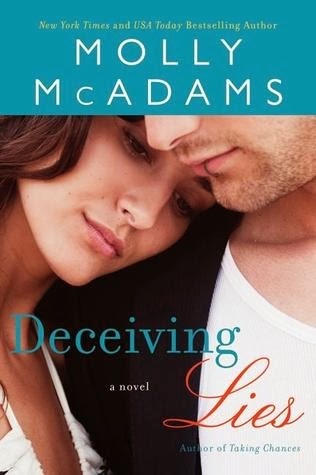 Pre-order Deceiving Lies and receive a bonus Kash and Rachel scene!